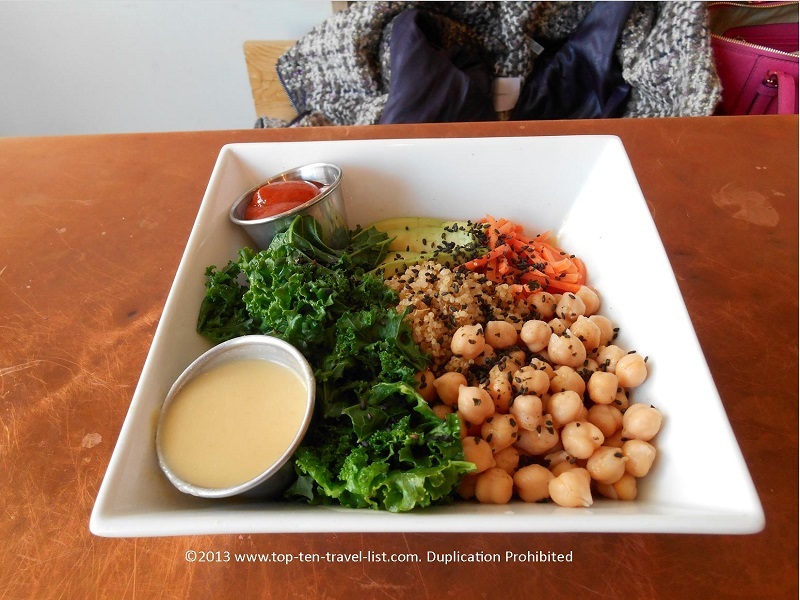 A Few Great Vegetarian/Vegan Restaurants Around Boston - Top Ten Travel Blog | Our experiences traveling throughout the US. Boston’s metro area is home to a number of great vegan restaurants. Although the city is more known for its’ abundance of fantastic seafood and Italian restaurants, you can still find a few pockets of excellent vegan options within the city and surrounding area. 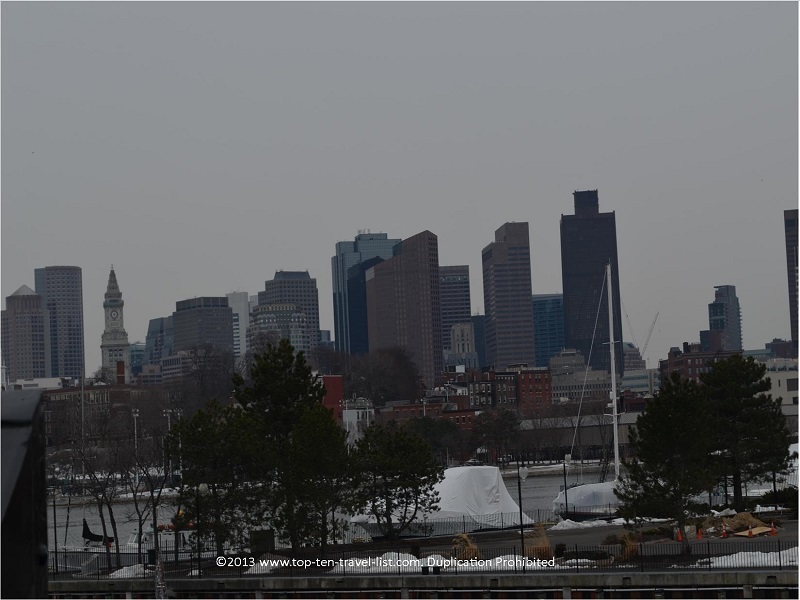 This list will look at the expanded metro area, which includes both the Providence and Worcester areas. 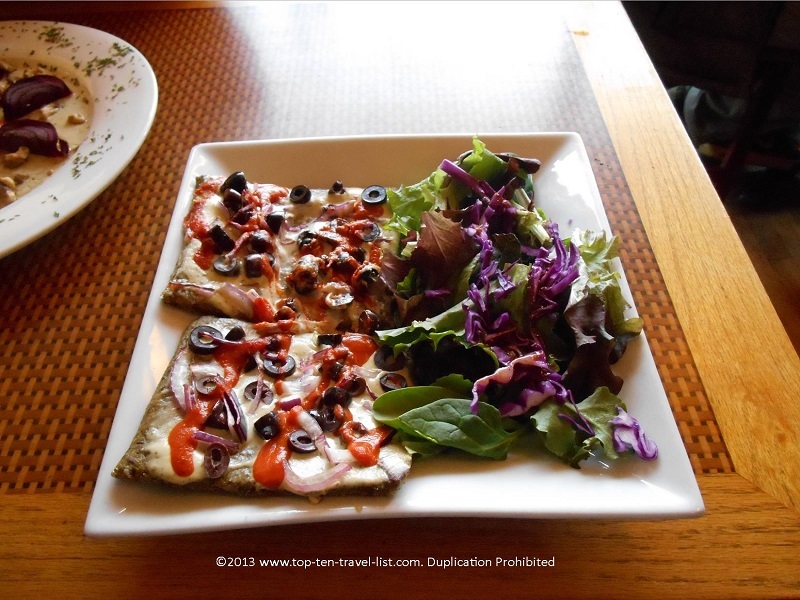 Take a look at a few of my favorite vegan restaurants in the area. These specialty restaurants vary in terms of cuisine, from an all raw menu to a specialty dairy free ice cream shop! 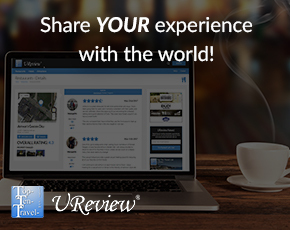 Be sure to share your favorite spots around the city. This interesting cafe on Boston’s North Shore was my first experience dining at an all raw vegan restaurant. 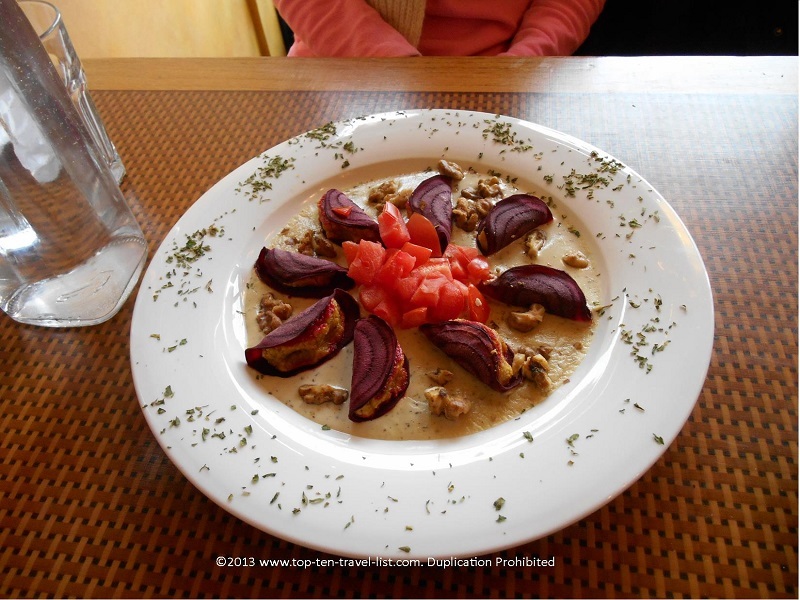 Here, you will find plenty of unique dishes, including a spectacular Butternut Squash Beet Ravioli with a creamy cashew based cheese sauce. The taste and texture were incredibly close to a creamy dairy based pasta sauce. Pricey, but definitely worth it! I was definitely impressed. 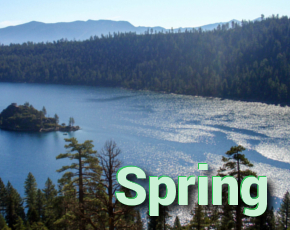 Other specialties on the menu include: raw deep dish pizza, flax n’ corn tortillas, and a raw portabello mushroom based burger. You will also find a variety of veggie based wraps, salads, and rice bowls on the Garden Cafe’s menu. Appetizers include: kale chips, chips and guacamole, crackers with live almond cheese, and avocado/pico de gallo quesadillas. 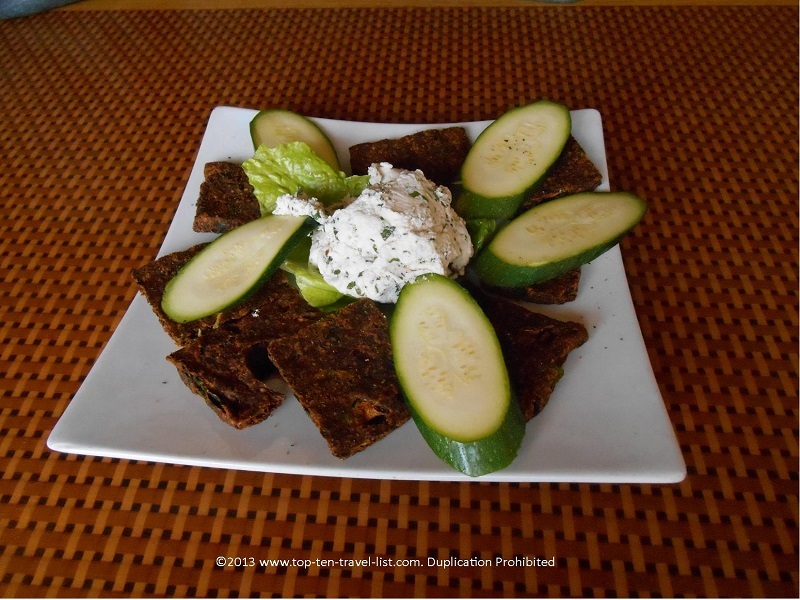 The crackers/veggies with live almond cheese sounded a bit strange to me, but surprisingly taste pretty good. No dairy, eggs, or gluten are used in any of the menu items, so rest assured that even those with multiple allergies/food intolerances can safety choose what they like from the menu. Most ingredients are also organic, a big bonus for any restaurant. Great experience at Beverly’s Organic Garden Cafe; I would definitely return for a second visit. Beverly is located about 30 minutes north of Boston. 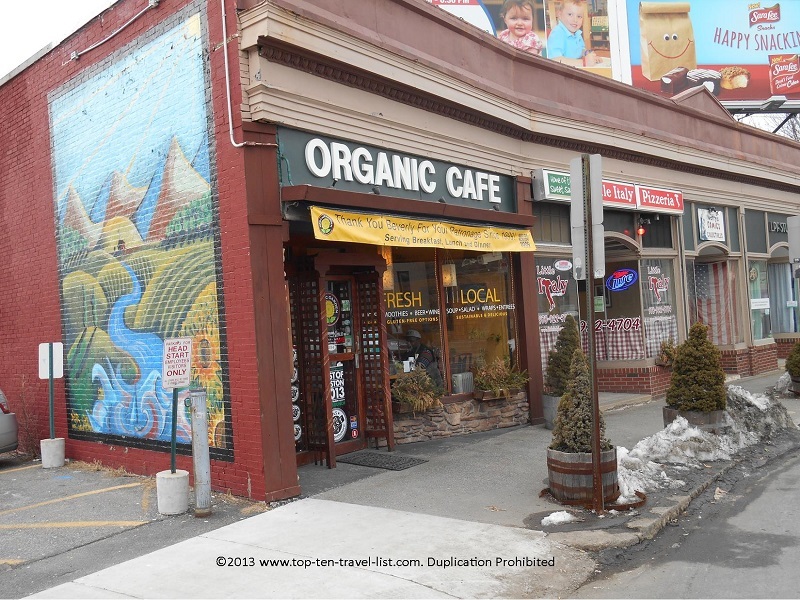 Organic Garden Cafe is located at 294 Cabot Rd in Beverly, Massachusetts. FoMu, a specialty coconut based dairy shop, has 2 locations in the Boston area. I can only vouch for the Allston location, but I was impressed with the ice cream, layout, and service. I never knew dairy-free ice cream could be so delicious! 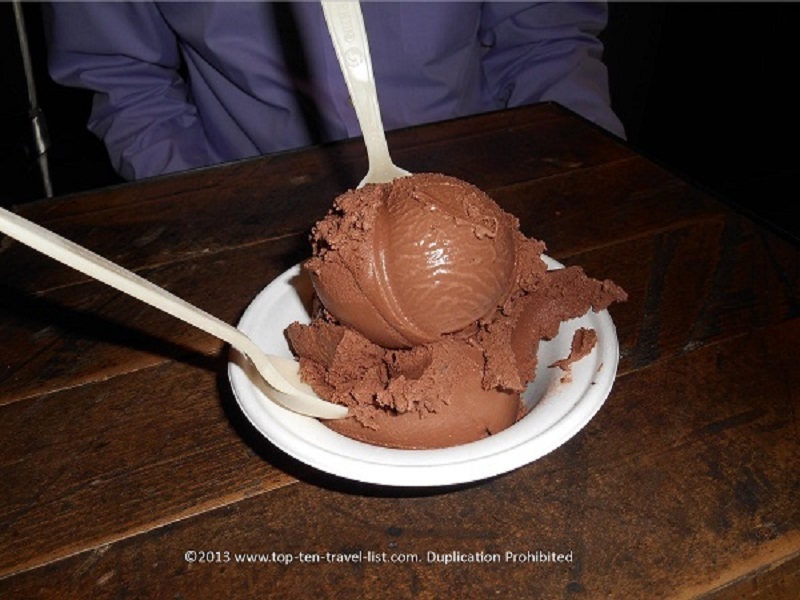 The texture and taste, so close to traditional ice cream! I honestly could not tell the difference! I have tried rice based alternatives in the past and the flavor just did not work. Coconut, on the other hand, provides an excellent base. FoMu offers a selection of 15 or so fantastic flavors, many of which are also gluten-free. Eating dairy free doesn’t mean sacrificing your favorite flavors like cookie dough, mint, or even Girl Scout cookies! FoMu is a unique treat for everyone, not just those following a dairy free diet. Both traditional ice cream fanatics and those eating dairy-free alike will appreciate the flavor and texture of FoMu’s delicious coconut based treats. Allston is located about 10 minutes from Boston. 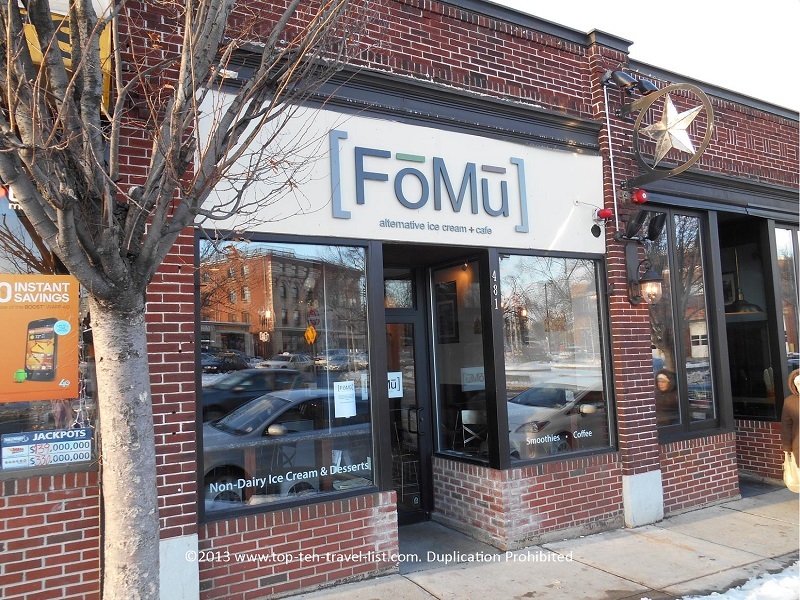 FoMu is located at 481 Cambridge Street in Allston, Massachusetts. Root, a casual cafe located in Boston’s Allston neighborhood, is the perfect stop for a healthy, light lunch. Here you will find a variety of healthy sandwiches, wraps, salads, appetizers, and juiced drinks.Everything on the menu is conveniently marked according to allergens contained in the dish. This makes it easy to plan your meal without constantly asking the staff questions. The sweet potato quesdailla looks like a tempting appetizer; I will have to test it out on my next visit. The Macrobowl was delicious – the perfect, filling lunch. The combination of veggies, quinoa, and chick peas worked really well together. Also, make sure to order a side of the herb flavored fries! The interior of Root is a bit bland, however, the many different fresh, nutritious options on the menu, make Root worth a visit. I definitely recommend Root to any vegans, vegetarians, or anyone else looking for a healthy meal in the Boston area. Allston is located about 10 minutes from Boston. 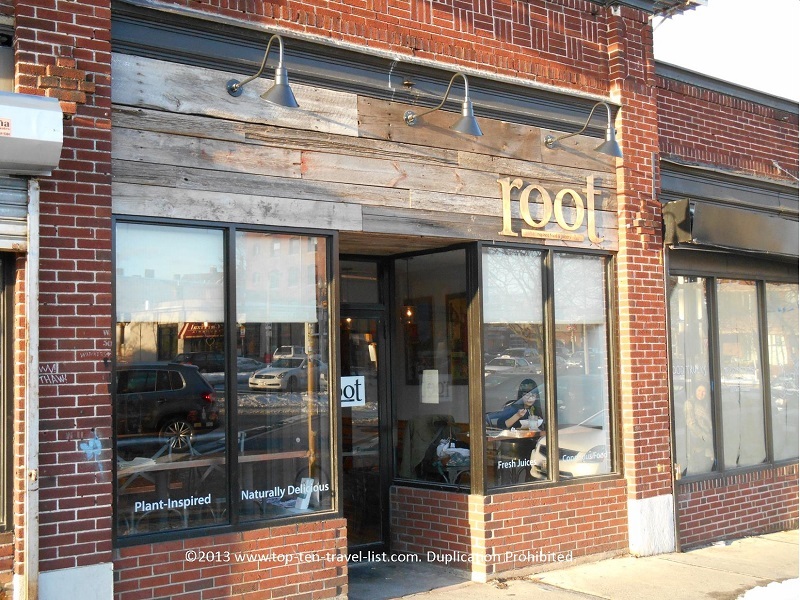 Root is located just 2 buildings down from FoMU at 47 Cambridge Street in Allston, Massachusetts.